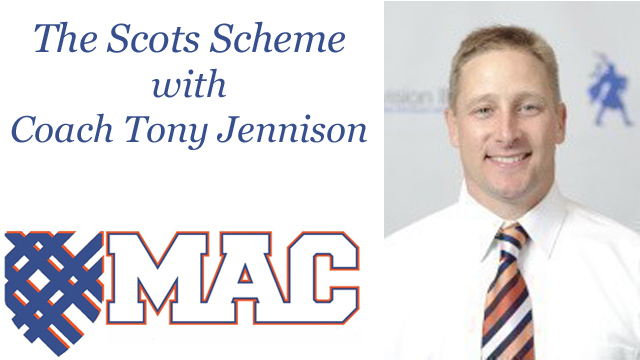 The Scots Scheme with Coach Tony Jennison is a weekly program that will be available each Thursday morning during the Midwest Conference (MWC) season, including the playoffs. 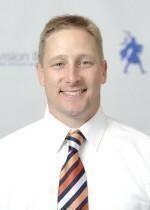 The show gives fans of Macalester College football the opportunity to ask questions of the Coach each week. Questions can be about anything, including football, sports, or life in general. Coach Jennison has the final say on all questions that will be used during the show. If you would like to pose your own questions to Coach Jennison, you simply send them to TonyJennison@MinorLeagueSportsReport.com. Please have them to us by noon on Tuesday to be used in that week’s show. Include your name, the city you are from, and your question with the submission. We hope you enjoy The Scots Scheme and look forward to hearing from you throughout the season. In this week’s edition of the Scots Scheme, among the topics that Coach Jennison discusses include: How the Coach felt about last week’s victory, how he views the depth of his team, his upcoming game against Knox and how parents are making the Scots Football team a great place to coach and play. In this week’s edition of the Scots Scheme, among the topics that Coach Jennison discusses include: The Coach talks about a fundraiser to help fight MD, what are keys against Grinnell, his feelings about parents taking youth sports too seriously, and he answers the question – What does the Coach rally think of Rob? In this week’s edition of the Scots Scheme, among the topics that Coach Jennison discusses include: What the coaches have planned during the bye week, what Coach Jennison sees as the state of his team at this point, how easy is it to recruit at Macalester and Coach J weighs in on the concussion debate. In this week’s edition of the Scots Scheme, among the topics that Coach Jennison discusses include: Coach Jennison’s takeaways from last week’s game, the status of Zandy Stowell, Coach Jennison’s skepticism that anyone cares about his opinion and ideas on how to be a better father.. In this week’s edition of the Scots Scheme, among the topics that Coach Jennison discusses include: Who will be the starting quarterback this season, the Coach’s expectations for his receiving corps and running backs, his busy off-season, and what is the new “Jennisonism” for this season. Just found the last 2 weeks interviews…yea! Hi, miss you weekly interviews with Coach Jennison. Will you return?